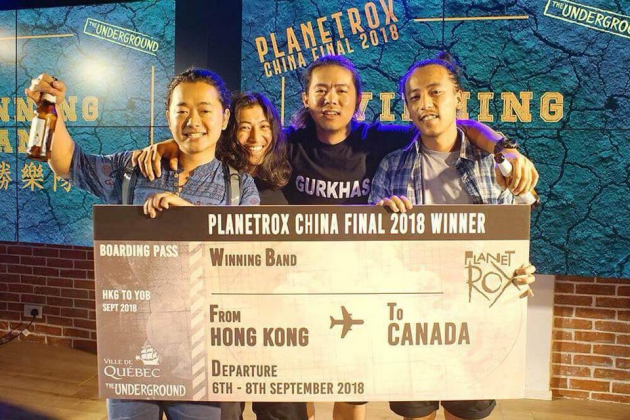 PLANETROX is a worldwide music competition whose mission is to discover the best new bands and expose them to a wider international audience. In 2018, Envol et Macadam will continue expanding its ties to the rest of the world. 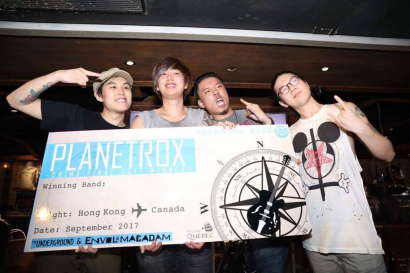 Alternative bands from different countries will be able to sign up for the PLANETROX auditions and the chance to play at the next Envol et Macadam festival in Quebec City, Canada. 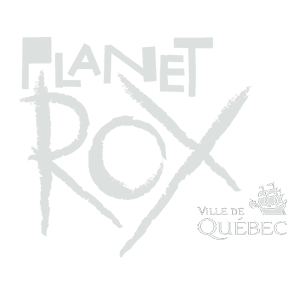 The PLANETROX project is an initiative of Envol et Macadam in collaboration with the City of Quebec. The mission of this international undertaking is to discover the best up-and-coming bands in each of the participating countries and to present them to the public at the Envol et Macadam Festival each September. This edition of PLANETROX will involve Canada, the United States, France, Great Britain, Germany, Czech Republic, Japan, China, Indonesia and Mexico. Envol et Macadam is Quebec’s top alternative music festival. It continues to innovate and to develop projects that allow local and international up-and-coming artists the chance to take part in an event that annually attracts over 20,000 music fans, as well as many industry professionals. Its programming appeals to a young and hip crowd; Bad Religion, Mastodon, Sum 41, Pennywise, Karkwa, The Sounds, Metric, Malajube, Raekwon, Bloc Party, Hatebreed, IAM, The Exploited, As I Lay Dying, No Use For A Name, Lagwagon, Face to Face, Randy, NOFX, Screeching Weasel, Less Than Jake and Sublime With Rome are but a few of the well-known artists that have played and delighted festival goers at Envol et Macadam in the past years. Each participating band must register online at planetrox.ca. Each band must send the link to one of their original songs. A panel of international industry judges will choose the 5 finalists from the songs submitted. The 5 finalists will perform at a live Planetrox China Final (in Hong Kong) on May 12th, 2018. The voting will be audience (25%) and combined with judges vote (75%) to get a final score. (There will be a panel of industry judges). The winning band will be invited to perform at one of Canada’s biggest live music events, the Envol et Macadam Festival in Quebec City on September 6th to 8th, 2018. 2. 5隊決賽樂隊將會於2018年5月12日Planetrox中國區現場演出(地點有待確認)，分數將會由觀眾票選 (25%) 及評審票選 (75%) 來確定 (現場將會有音樂界專業人士作評審).